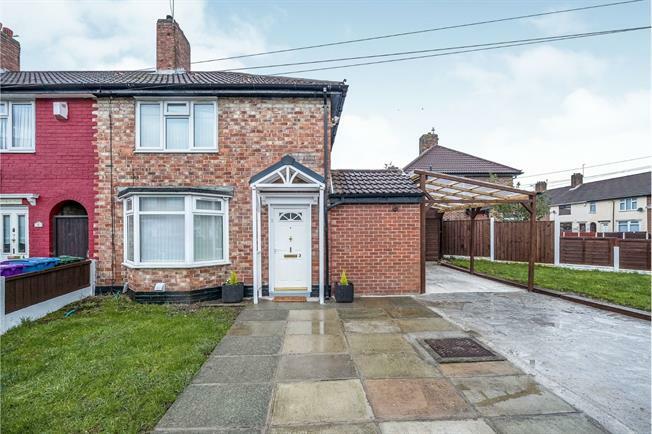 3 Bedroom Semi Detached House For Sale in Liverpool for Offers Over £125,000. Entwistle Green are delighted to welcome to the sales market this fantastic three bedroom property with the added advantage of no forwarding chain. On first look, you will see the property has undertaken a full modernisation throughout to give you a brilliant living experience. In brief, the accommodation comprises, a lounge, kitchen/diner, downstairs bathroom, three large bedrooms, double glazing and central heating. Externally, the property boasts, a storage area to the side, decking and a private garden are, plus off road parking and plenty of land to develop. A quite brilliant family home. Please call 0151 220 4443 for more information.